As the leaves change and the days become shorter, health-conscious consumers need to find an alternative to exercising outside. 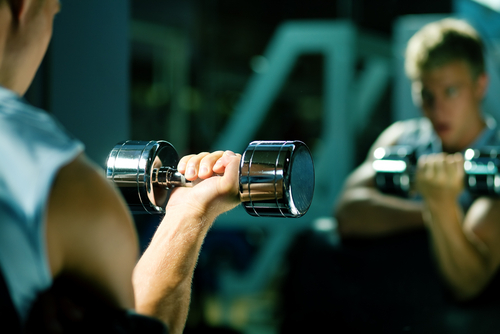 The two busiest times of the year for new gym memberships take place right after New Year’s and when the summer concludes. Follow these three easy steps to make the most out of the fall season. Back-to-school season means parents are getting up earlier to get their kids in class by the bell. Make sure that you have fitness classes and business hours that accommodate these early starts so that parents can still get their morning workout in. Offering childcare during after-school hours is a great way to encourage parents to stop in on their way home after 3 o’clock dismissal. Fall means the return of football and high school sports. Make sure that your business is involved in getting your community teams to the championships. Offer team discounts for training outside of their regular practices. Also partner with local recreational sports leagues to give people the extra edge in their fall softball games. As the weather begins to change, people can no longer take advantage of exercising outside. Give those clients a way to practice their favorite outdoor activities inside. Offer indoor swimming classes or offer a video of nature for outdoors lovers to watch as they run on the treadmill. These small touches will resonate with athletes who are missing the sunshine of summer. Follow these three tips to help ensure new customers walk through the doors this fall. For more tips on the fitness industry, follow SinglePlatform on Instagram, Twitter, and Facebook.